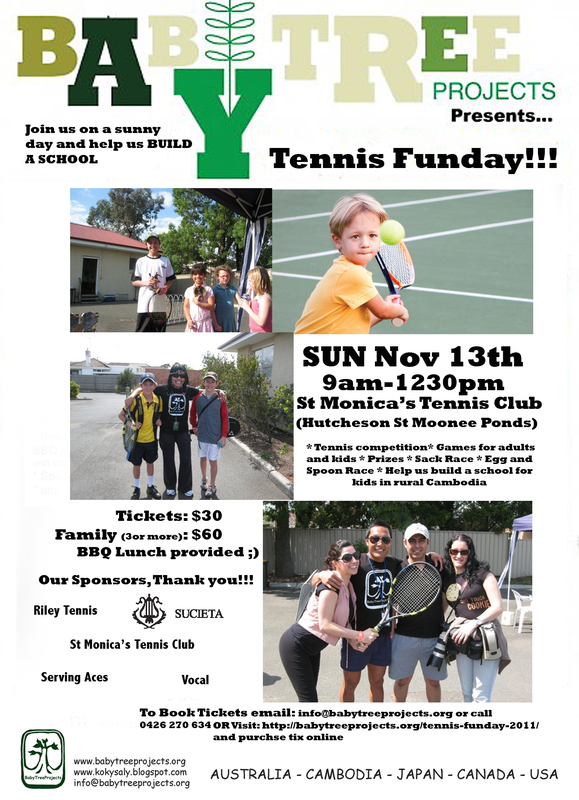 What: Conducted by some of Melbourne’s best tennis coaches, the main event is a tennis round robin championship. But there will be plenty of activities to entertainment adults and children alike in a FAMILY EVENT. Some activities include the Sack Race, the Egg and Spoon race, the Three legged race. Prizes to win and to top it off breakdancing classes! Costumes welcome! Free BBQ Lunch included!!! How Much: $30 for single tickets. $60 for families of 3 or more. You may purchase ticket online via PayPal HERE. Once payment has been confirmed you will be issued a ticket via email. Please present ticket on the day at registration table. There are two items up for auction for this event. Signed Rafael Nadal and Roger Federer Nike Tshirts up for auction right now! Make your bids. Rafael Nadal is already at $200. Roger Federer at $0.